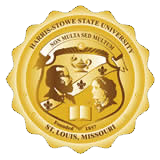 Harris-Stowe State University offers various scholarships each year to outstanding undergraduate students based on financial need, academic merit, or both. Merit-based scholarships from the Office of Admissions do not stack. If a student meets the minimum requirements for multiple awards, they will automatically be awarded the scholarship with the highest dollar value. Receiving a merit scholarship may not disqualify students from also receiving need-based grants or loans offered through the Harris-Stowe Office of Financial Assistance, depending upon the amount of demonstrated financial need. Scholarship awards are not guaranteed. Priority is given to students that have been accepted to the university prior to December 1. No additional application is required. Incoming first-time freshmen who score a 25 or greater on the ACT (or SAT score of 1200) and have a High School Grade Point Average of 3.5 or greater. Full-time enrollment at HSSU required for full scholarship consideration. Recipients must complete a minimum of 30 credit hours annually at HSSU, between the fall and spring semesters, and maintain a cumulative GPA of 3.4 or greater. Renewable for up to 3 additional years. Incoming first-time freshmen who score a 23 or greater on the ACT (or SAT score of 1130), or rank in the top 5% of high school class, and have a High School Grade Point Average range of 3.4 or greater. Recipients must complete a minimum of 30 credit hours annually at HSSU between the fall and spring semesters and maintain a cumulative GPA of 3.25 or greater. Renewable for up to 3 additional years. Incoming first-time freshmen who score 20 or greater on the ACT (or SAT score of 1020), or rank in the top 10% of high school class, and have a High School Grade Point Average range of 3.2 or greater. Recipients must complete a minimum of 30 credit hours annually at HSSU between the fall and spring semesters and maintain a cumulative GPA of 3.0 or better. Renewable for up to 3 additional years. Incoming first-time freshmen who score a 19 or greater on the ACT (or SAT score of 980) and have a High School Grade Point Average of 2.85 or greater. Full-time enrollment at HSSU required for full scholarship consideration. Recipients must complete a minimum of 30 credit hours annually at HSSU between the fall and spring semesters and maintain a cumulative GPA of 2.75 or better. Renewable for up to 3 additional years. Recipients must complete a minimum of 30 credit hours annually at HSSU between the fall and spring semesters and maintain a cumulative GPA of 3.0 or better. Midwest Student Exchange Program (MSEP) -The Midwest Student Exchange Program, or MSEP, is a multi-state tuition reciprocity program. Through the MSEP, public institutions agree to charge students no more than 150% of the in-state resident tuition rate for specific programs. States that are part of MSEP are Illinois, Indiana, Kansas, Michigan, Minnesota, Missouri, Nebraska, North Dakota, Ohio or Wisconsin. For additional resources regarding state and federal financial aid, please contact the Office of Financial Assistance.